Sunday the 6th of January a translated version of the Nashville declaration got signed by a group of people. Most of them were part of the Orthodox-Protestant church, and one of them was even a highly recognisable figure in Dutch politics. For those not familiar with the Dutch church system, there are 40+ different Christian churches in the Netherlands. They all have their own specific set of beliefs, and this could be completely different from another church. Also, for those not familiar with the Nashville declaration, it is a document which states mainly 3 things. First the bible, supposedly, states that being LGBT+ is wrong and a sin. Second that there is a cure, and not getting cured is a sin. Finally, they state that accepting somebody LGBT+ is also a sin. I don’t know about you, but after reading this I personally, apparently, have committed a lot more sins in my life than I was aware of. This also means that kids are committing sins all the time. This due to the fact that kids simply don’t care. I have never met a kid in my life that on the playground of primary school wondered if it was right or wrong that two people of the same gender loved each other. Little boys don’t do retakes when they see two guys holding hands, and most little girls will only get more excited about a lesbian wedding because two dresses are involved. This is all due to the simple fact that kids haven’t learned yet to not accept anyone. They see love as all that it is: love. Some of us never lost that quality, and others have bravely regained it over the years. This led to what I believe is a great estimation error from those who signed the Nashville declaration: they are not even a minority, they are very much alone in this. If anything, the Nashville declaration had the opposite effect. Within no time support for the LGBT+ community came from every corner of society. Especially not-orthodox protestant churches were quick in their response. Some put up rainbow flags outside, others stated that their god would never cast someone out for their sexuality. If you google the Nashville declaration, the majority of the links is about initiatives people took to express their love and support for the LGBT+ community. Only yesterday an 18-meter high, pink, blow-up church was put up on the main square of Amersfoort. More people attended the service about spreading love and acceptance, than signed the document. Many cities did not agree as well with the Nashville declaration. 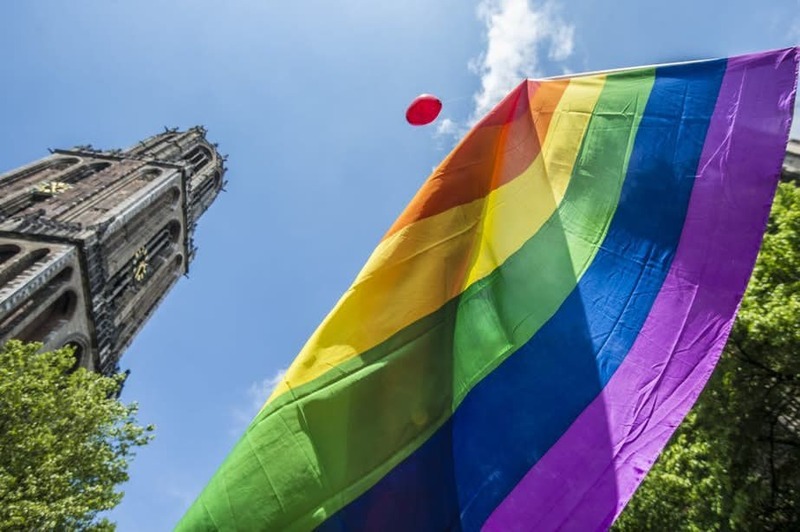 In Utrecht the municipality, the University, and the church spoke out. They all raised the rainbow flag and organised a peaceful manifest on the Domplein. The Nashville declaration shows we are not there yet, but the response shows that we are on our way to happily ever after. 2019 - A Brigde to 2020?